Viewing places or objects as part of a broader historical theme deepens our understanding and appreciation of Victoria’s history and heritage. Heritage professionals, local government staff, teachers, managers of museum collections and others can use the Framework to consider single heritage places and objects in a broader context. Case studies provide practical examples of how adopting a themed approach improves our understanding and appreciation of the state’s cultural heritage. Culture Victoria, a Victorian government website that showcases stories from cultural agencies and collecting organisations around the state, uses the Framework of Historical Themes as a way to navigate their content. Download Part 1 (PDF 1.3 MB) and Download Part 2 (PDF 1.7 MB) of the Framework. Queen Elizabeth Maternal Health Centre, originally known as the Carlton Refuge, was established on the present site in 1861. Hobsons Bay City, comprising the suburbs of Altona, Laverton, Newport, Spotswood and Williamstown, is perhaps unique in the metropolitan area as a municipality that spans the period from the earliest settlement of Melbourne in the 1830s to the post-World War II expansion that significantly changed not only the physical boundaries of the city, but also its social and cultural life. Occupying a 240km stretch of Victoria’s south-western coastline, the Great Ocean Road traverses a diverse landscape with deep spiritual connections for Aboriginal people. 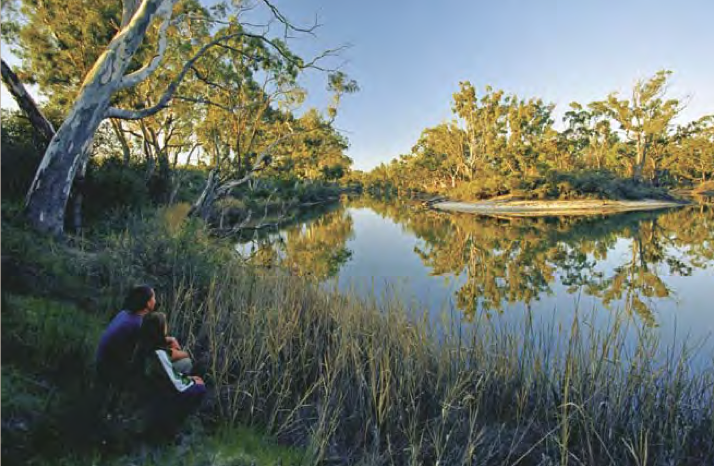 Budj Bim and Lake Condah are part of traditional Gunditjmara country. The Royal Exhibition Building in Carlton Gardens was completed in 1880 for Melbourne’s first International Exhibition. Lake Boga is situated within the traditional country of the Wamba Wamba people, specifically the ‘Gourmjanuk’ (meaning along the edge of trees) clan. The Whitehorse Historical Collection at Schwerkolt Cottage Museum Complex, Deep Creek Road, Mitcham, comprises late 19th and early 20th century domestic goods used to furnish the cottage; agricultural machinery and equipment associated with fruit growing and processing; and early to mid-20th century brick, tile and pottery equipment and products representing the clay industries of the area.